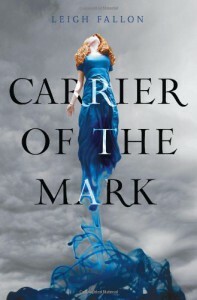 I enjoyed Carrier of the Mark very much. I found it had a very authentic Irish voice as a book set in Ireland, something a little lacking from a few other YAs I've read. I admit, as an Irish person, I'm a stickler for Irish slang and terms for books set here. The writing is beautiful and I found myself swept away in many of the descriptions. I love descriptive writing and this author certainly did a great job at placing me, as a reader, in the story helping me visualize the special talents of the characters. I found the mythology complicated at times and needed to re-read a few places to get it straight in my head. Complicated is by no means bad, I like complicated and I'm interested to see where it goes. 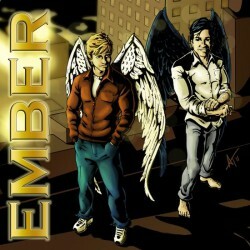 Many reviews have talked about the similarities to Twilight, sadly that's par for the course with YA. It seems every book gets compared to other books. Yes, there were similarities, the book follows girl meets boy, throw in supernatural element and some conflict. That's not unique to Twilight. There were enough differences to allow this book to stand apart from other YAs I've read and I'm looking forward to seeing where Leigh Fallon takes this story and her unique take on traditional Irish mythology. I'm giving 4stars. I was leaning to 5 but I do feel there is much more to this story and we have barely scratched the surface, I'm looking forward to more.